"At approximately 19h00 (Monday, 25 July, 2011) NSRI Durban volunteers and the SA Air Force 15 Squadron (helicopter) were placed on high alert by the Transnet National Ports Authority following reports from the 164 meter bulk tanker PHOENIX that they had broken their anchor and were drifting towards shore off-shore of Salt Rock, Durban North Coast. "The 164 meter bulk tanker PHOENIX is reportedly a derelict bulk tanker en-route to Indian scrap yards to be scrapped and carrying a small skeleton crew were under her own motor power passing the South African Coast and put to anchor off-shore of Durban North Coast to wait out some increment weather on Monday (25 July, 2011). "A cold front pushed through during Monday bringing up to 4 meter swells and a 25 to 30 knot wind with rough sea conditions. "Following reports that her anchor chain had failed the Transnet National Ports Authority dispatched the salvage tug SMIT AMANDLA (who were standing-by on the Durban coast at the time), belonging to Smit Amandla Marine, to attempt to attach a tow-line and attempt to drag the bulk tanker out to deep sea. "Attempts to attach a tow-line in rough seas was not immediately possible last night and PHOENIX lay close off-shore of Salt Rock and has been gently pushed closer ashore during the night and is now lying about 200 meters off-shore and she ran hard aground at about 10h00 today (Tuesday, 26 July, 2011). "At the same time NSRI Durban volunteers were placed on alert and the South African Air Force 15 Squadron Oryx helicopter was placed on alert to evacuate the (skeleton) crew if needed but it was confirmed that the crew on board were safe and in no imminent danger although NSRI Durban and SAAF 15 Squadron remained on alert throughout the night and the salvage tug SMIT AMANDLA remained on-scene throughout the night. "This morning (26 July, 2011), according to the Transnet National Ports Authority, Smit Amandla Marine have requested a team from Subtech salvors to assist to attach a tow-line from PHOENIX to SMIT AMANDLA in order that the casualty ship can be towed out to sea. 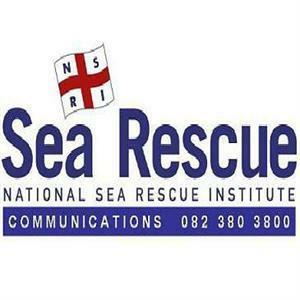 "NSRI Durban will dispatch a deep-sea rescue craft to be on stand-by during the salvage operation. "eThekwini Fire and Rescue services have dispatched a team to stand-by on the beach front and SAMSA (South African Maritime safety authority) are monitoring the situation and directing the salvage operation. "To our understanding a Subtech salvage team will be airlifted onto the PHOENIX to attach a tow-line which will be provided from the SMIT AMANDLA salvage tug. Attempts will then be made to tow the vessel to deep-sea. "Smit Amandla Marine are the salvage commanders and NSRI's role in todays operation is simply as a stand-by safety boat while the operation is being carried out." Released by NSRI Sea Rescue Communications.